This entry was posted in Sacred Art, Symposium and tagged León, Medieval, San Isidoro, Therese Martin, treasuries on August 6, 2018 by tomnickson2013. 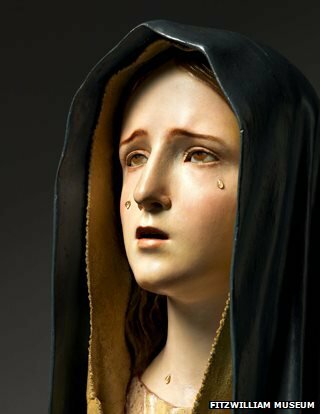 A sculpture by Pedro de Mena (b. Granada 1628 – d. Malaga 1688) of the Mater Dolorosa or Virgin of Sorrows has gone on display at The Fitzwilliam in Cambridge in a drive to help publicise the Museum’s funding-raising appeal for the acquisition of the work. This polychrome wood bust of the Virgin is an outstanding and rare example of the sculptor’s work. Very few pieces by de Mena are to be found anywhere except in the churches, monasteries and convents for which they were originally commissioned. This particular work was most probably made for private devotional purposes and would have been part of a pair with an Ecce Homo. The Fitzwilliam has already raised nearly £60,000 towards the purchase of this work but it still needs to secure a further £25,000 before the end of this coming month (September 2014). If you would like to give something to help, please go to the online donation site Just Giving or contact Sue Rhodes, Development Officer by email at Sue Rhodes or call 01223 332939. This entry was posted in Málaga, News, Sacred Art, Sculpture, Spain, Spanish Art and tagged Exhibitions, Just Giving, Mater Dolorosa, Málaga, News, Pedro de Mena, Sacred Art, Sculpture, Spain, Spanish Art, The Fitzwilliam Museum, Tim Knox on October 10, 2014 by M. Ellis. 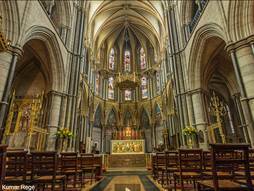 A celebration of the music and art of Toledo in the 16th century will held at the Church of St James – London’s ‘Spanish Church’ – in the West End on Tuesday 16th September. 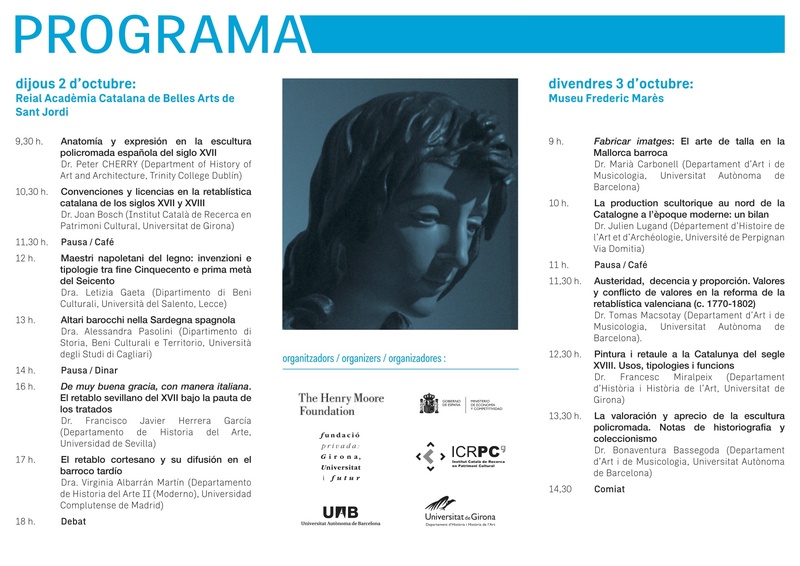 The event is the being organised by the BritishSpanish Society. At the time of El Greco, Toledo was a major centre for sacred music and for centuries Spanish sacred music was known as Canto toledano. 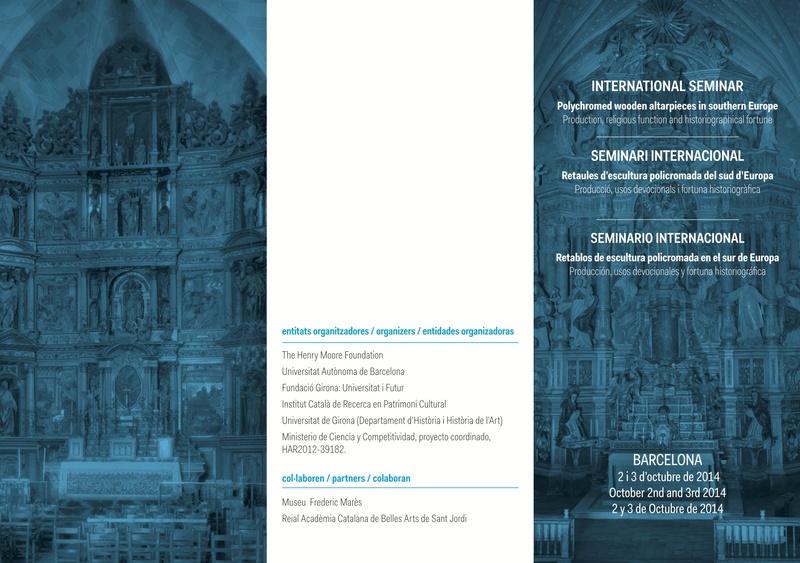 It still houses one of the richest libraries of sacred music in Spain as well as an outstanding collection of Flemish Renaissance music. Music will be performed by the Coro Cervantes, the UK’s only chamber choir dedicated to Hispanic and Latin American classical music. Exploring these connections between music and art will be the choir’s musical director Carlos Fernández Aransay and Chief Curator of the Dulwich Picture Gallery and longtime supporter of ARTES, Xavier Bray. Xavier has curated or co-curated all the major exhibitions of Spanish Golden Age art in London over the past 10 years: El Greco (National Gallery, 2004), Velázquez (National Gallery, 2006) and Murillo (Dulwich Picture Gallery, 2013); and is currently working on an exhibition of Goya’s portraits for the National Gallery in October 2015. 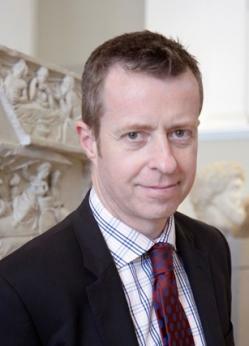 In 2009 he conceived and curated the groundbreaking exhibition The Sacred Made Real: Spanish Painting and Sculpture 1600-1700 (2009), which was instrumental in bringing audiences in the UK and beyond to a greater understanding and appreciation of sacred Spanish art. The legacy of this exhibition continues. This summer Sotheby’s London held its first selling exhibition devoted exclusively to sacred paintings and sculpture; seventeen of the twenty-six works were Spanish. This exhibition, Contemplation of the Divine was masterminded by Alexander Kader, Senior Director & Head of Sculpture & Works of Art and ARTES member James Macdonald, Senior Director & Head of Private Sales, Old Master Paintings, both of whom were kind enough to take ARTES members on a private tour. For more information see: ARTES post 24 Aug 2014, Fitzwilliam Museum Cambridge on Fundraising Drive to purchase a Pedro de Mena Mater Dolorosa. Particularly for the historic reception of Spanish art in the UK: Spanish Art in Britain and Ireland, 1750-1920. Studies in Reception in Memory of Enriqueta Harris Frankfort, edited by Nigel Glendinning & Hilary Macartney, Tamesis, 2011. Tickets: £22 for non-members of the British Spanish Society, available from their Events Secretary or the Society’s website, www.britishspanishsociety.org. Membership of the Society is open to all (£25) and an application form can be found on the website. Tickets for members are £17. Venue The Church of St James, Spanish Place, 22 George St, London W1U 3QY (near to the Wallace Collection). NB: Bond Street tube is not fully operational. Please check before using. This entry was posted in London, Murillo, News, Sacred Art, Sotheby's, Spain, Spanish Art, Toledo and tagged London, London's Spanish Church, Mater Dolorosa, Murillo, News, Pedro de Mena, Sacred Art, Sotheby's, Spain, Spanish Art, The Fitzwilliam Museum, The National Gallery, The Sacred Made Real, Toledo, Toledo Cathedral on September 4, 2014 by M. Ellis. ARTES member Dr Tomas Macsotay is on the organising committee for this event. This entry was posted in Sacred Art, Sculpture, Seminar, Spain, Trinity College Dublín and tagged Joan Bosch, Julien Lugard, Letizia Gaeta, Marià Carbonell, Peter Cherry, Polychrome, Reial Acadèmie Catalana de Bellas Artes de Sant Jordi, Sacred Art, Sculpture, Spain, Tomas Macsotay, Trinity College Dublín, Virginia Albarrán Martiín on April 24, 2014 by M. Ellis.